Abstract: This article investigates the ‘allegorical hunt of the unicorn’ in late medieval visual and narrative art. The existence of the unicorn in biblical lore is an important factor in how the unicorn has been integrated into Christian symbolism. By expanding the narrative connection between hunting, virginity, and taming provided by Physiologus, the allegorical interpretations turn the taming of the wild unicorn into signifying the incarnation of Christ. This influential interpretation enables an overlaying of allegorical meanings in various media. In this process, knowledge is organized into clusters of meaning in which the creature functions as a dynamic reservoir of knowledge. This perspective allows for a deeper understanding of the functions of animals (or more specifically, human-animal relations) in medieval Christian interpretation. Introduction: We do not usually think of the unicorn as a ‘biblical creature,’ but it can indeed be found in Bible translations from Late Antiquity. These, as well as ancient zoological texts, were the sources for interpretation during the Middle Ages, and the mere existence of the unicorn in biblical lore is an important factor in how the unicorn has been integrated into Christian symbolism. 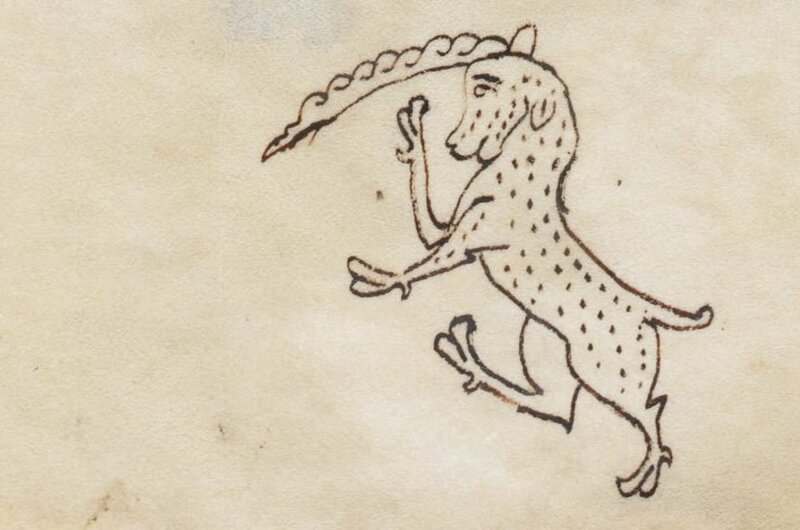 Appearing as an elusive hybrid creature throughout time, the unicorn nonetheless avoided objectification through its (imagined) desire to associate with humans.